If you read Milwaukee Record with any regularity, you’ve no doubt seen ample mention of Sylvan Esso—almost exclusively flanked by glowing and well-deserved praise. 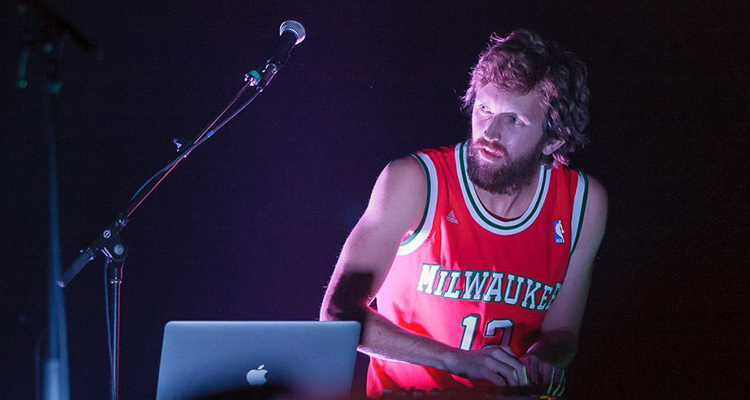 Though the synth-pop duo is based in Durham, North Carolina, Sylvan Esso has an indelible connection to Milwaukee. Nick Sanborn (one half of the act) spent the majority of his adult life here, and got his true start as a musician as part of Decibully. Beyond that, he and his Sylvan Esso collaborator Amelia Meath actually met while sharing a bill at Cactus Club. Since the release of its self-titled debut record last May, Sylvan Esso has performed on The Tonight Show and Conan, played virtually every major music festival in the continental U.S., and earned oodles of love from countless respected music resources. Meanwhile, the duo filmed a locally-made music video in town and played Milwaukee four times (including a Pabst Theater sellout). Before last weekend’s Sylvan Esso headlining show at Summerfest, Sanborn was gracious enough to let host Tyler Maas come to his hotel room for a chat. They discussed Sylvan Esso’s rapid rise to notoriety, whether there’s a glass ceiling in Milwaukee music, local places Sanborn misses most, the band’s upcoming Eaux Claires appearance, and much more. Maas even coaxed Sanborn into talking about what Milwaukee music was like in 2005, and their shared love of The Snake The Cross The Crown.